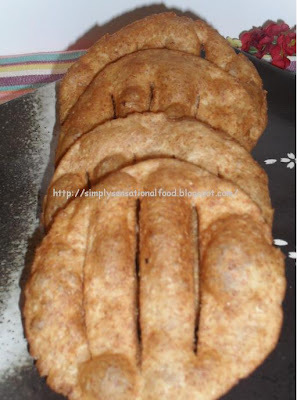 Crunchy finger Paratha-As strange as the name may sound that’s exactly what these crispy crunchy paratha are. 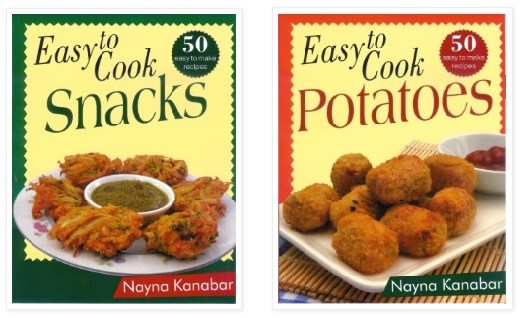 They are made from with wholemeal wheat flour, savoury in taste and delicious broken into fingers and enjoyed with dhal or just as a snack with tea and pickles. 1. In a bowl add the flour, salt and the oil. 2. 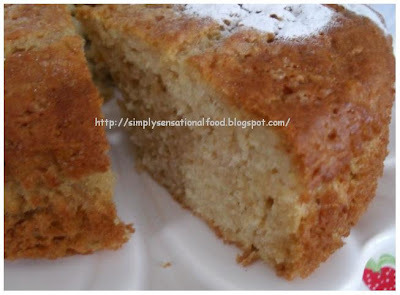 Using the tips of your fingers gently rub the oil into the flour to make a bread crumb type mixture. 3. Add a little water and make stiff dough. Cover and leave for 30 mins. 6. Starting about 1cm from top edge of paratha cut a vertical slit down the paratha leaving 1 cm edge at the bottom edge too. Cut 3 more slits. When you pick the paratha up it should still be in one piece. Repeat for rest of dough . 7. Heat the oil and fry paratha on medium heat till golden brown. Drain on kitchen paper and store in air tight container. NB-These paratha should be crunchy and crispy. 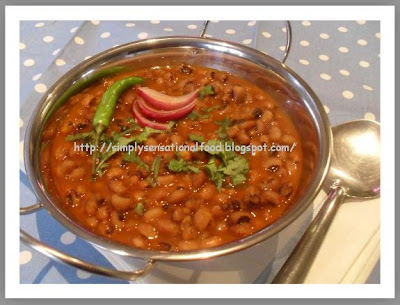 Serve with dhal or pickles. Spinach Dhoklas-A variation of dhoklas, steamed chopped spinach in a chickpeas (Besan)batter seasoned with ginger and chillies and spices.Served sauted with a tadka sprinkling of sesame seeds, coriander and chillies. 3. Add the ginger, green chillies, salt, ajwain, turmeric, chilli powder, tamarind pulp, sugar, 1 tablespoon oil and 1 cup water. 5. 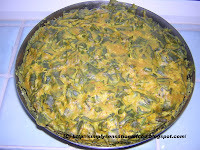 Add the spinach leaves and eno salts and mix thoroughly. 6. Transfer the mixture to the oiled thali and place in a steamer. 7. Steam until firm but springy to touch. 8. Remove from steamer and allow to cool. 9. Cut into 3 long blocks and then cut each block into 1 cm wide slices. 1. In a wok, heat 1 tablespoon oil, add mustard seeds, sesame seeds, red dried chillies and bay leaf. 2. Add the sliced spinach dhokla and stir fry/saute till they start to crisp up and brown slightly. Transfer the spinach dhokla to serving dish serve with tea and coriander chutney. 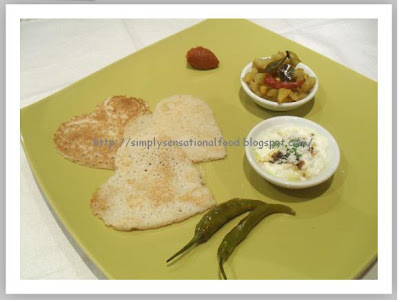 Priya's Easy N Tasty -Cooking with sesame seed event. 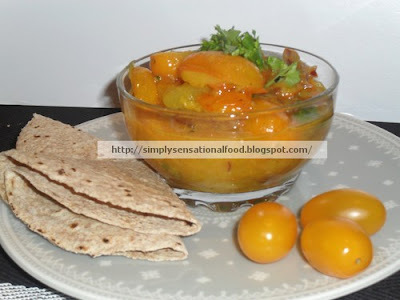 Yellow plum tomato sabji -Tangy miniature yellow plum tomatoes cooked with simplicity using just a few spices to compliment and to enhance the tangy flavour of the tomatoes. 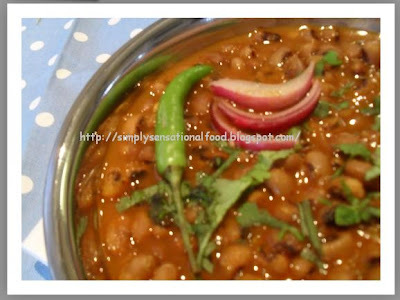 A dish ready in less than 10 minutes with out compromising any of the flavours. 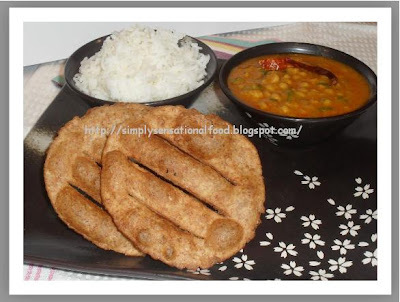 Fast an easy to cook and simply delicious served with hot gujarati style rotis. 1. Wash the tomatoes and cut them in halves. 2. In a pan heat the oil when hot add the mustard seeds and onion. 3. Sauté the onions till they turn soft and slightly translucent. 4. Add the chillies, salt, cumin, coriander and sugar. Sauté for another minute. 5. 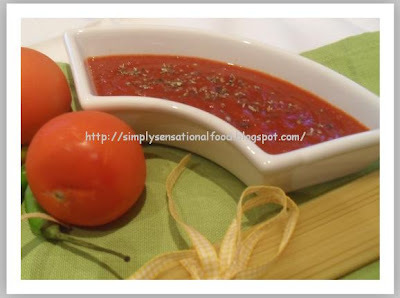 Add the tomatoes and toss, Cook until tomatoes just begin to soften, do not overcook tomatoes to a pulp they should still retain their shape. 6. Add the kitchen magic spice and toss again. 7. Add the chopped coriander and toss till coriander just wilts. 8. Transfer to serving dish and serve with hot rotis. 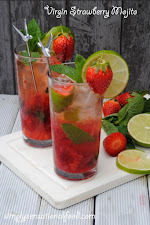 This post has no recipe instead it is a dedicated to all the lovely blogger friends I have made over the last 3 months. All the wonderful friends who drop by and take the time to motivate by leaving messages and beautiful inspiring comments. Its these little words that encourage and inspire to post regularly. 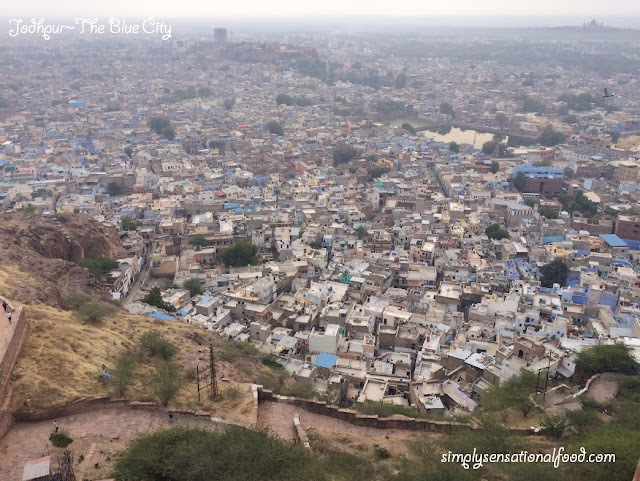 In the short space of time that I have been passionately active in bloggy world , I have been bestowed with a number of awards by the many blogger friends. (All these you can see in my blog side bar. )To repay their kindness and to show my appreciation to everyone who is kind enough to visit simply.food I just want to say big THANKYOU. 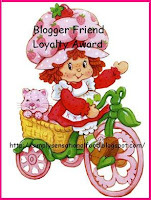 Please feel free to accept this Blogger Friend Loyalty Award as my appreciation. 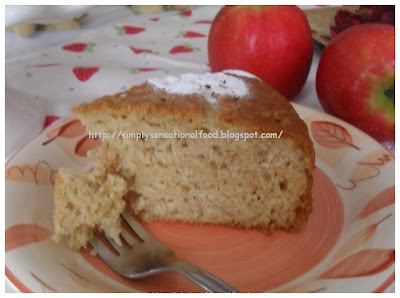 Apple cake-A delicate flavour of sweet apples and cinnamon baked in a soft , moist and spongy apple cake. Delicious served hot or cold with a generous helping of vanilla ice cream, cream or vanilla custard. 1.Sieve the baking soda,baking powder,cinnamon and the flour together and keep aside. 2.Peel ,core and grate the apples. 3.To the melted butter, add the sugar, eggs, milk, yoghurt and beat lightly. 4.Stir in the grated apples into the wet mixture. 6.Pour the mixture into a prepared lined and greased baking tin. 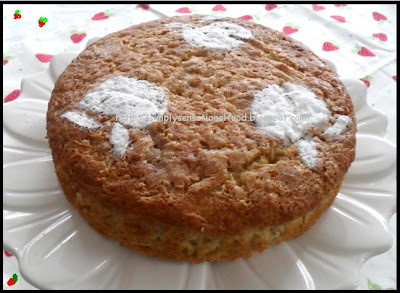 7.Bake for 35-40 mins.To check if cake is done insert skewer in to cake if it comes out clean cake is ready. Serve with cream ,vanilla ice cream or vanilla custard. 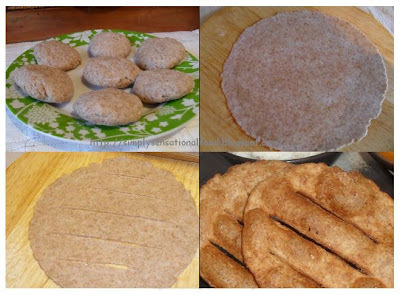 A few weeks ago I was surfing the net, when I came across a video for making these little savory and sweet mini doughnut type of creations.I was so impressed with them that I searched the net for more info and discovered that these little creations came under many different names such as appam/uniappam/kuzhi appam/paniyaram and in the western world aebleskiver.I am still unsure what the correct name for these are but will settle for Paniyarams for now. 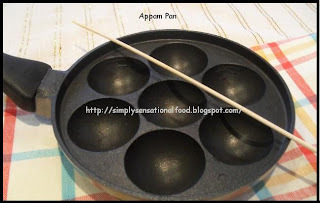 I found many recipes to entice and tempt me but getting appam pan was the true test.After much searching in the UK I tried america and India but could not find anyone to ship out to me.Finally luck was in hand , I found Popat stores in UK had one and I am now a proud owner of an appam pan. 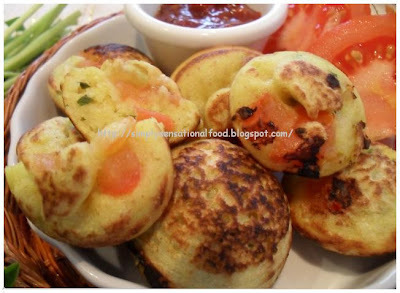 Paniyaram-Mini balls made from batter flavoured with herbs and spices cooked in a special Appam Pan. 1 tablespoon sunflower oil for seasoning and cooking paniyarams. 1. 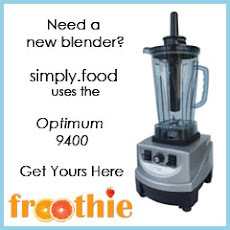 Mix all the basic batter ingredients except the oil and make a dropping consistency batter. 2. Leave batter aside for half hour. 3. Divide the batter into two parts , to one part add the chopped fenugreek and the second part add the spring onions and chopped tomato. 4. 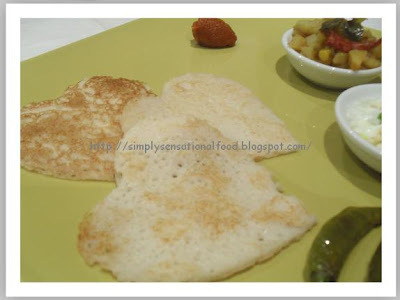 Dip a piece of kitchen paper in oil and dab the appam pan to season it. 5. Put 1-2 drops of oil in each hole and heat on medium heat. 7. Cook for 2-3 minutes, until batter begins to puff up and set on the underside turning golden brown. 8. Next using a wooden skewer flip the paniyaram over so that the browned underside side is uppermost and uncooked top side is under neath.Cook this side till golden brown too.Paniyarams are ready when a skewer poked in the middle comes out clean and they are puffed up golden brown and spongy. 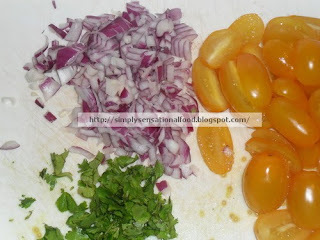 9.Repeat for remaining fenugreek batter and again repeat for the tomato and spring onion batter. 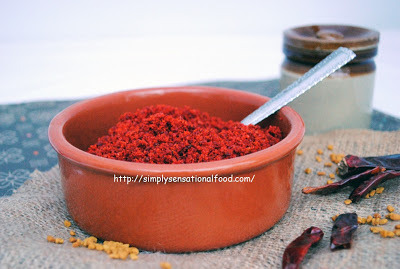 Serve with chutneys yoghurt and coconut chutney or sweet red pepper chilli sauce. 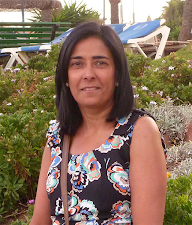 Yasmeen Healthy nut: Bitter better health challenge event. 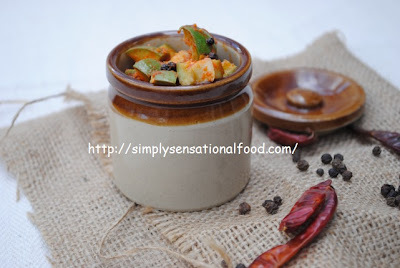 Achar masala (pickle masala)- A blend of aromatic spices roasted and blended together to make a rich and spicy masala that can be used to dress many vegetables to transform them into instant pickles. 1. Dry Roast fenugreek seeds in a frying pan and dry grind them coarsely and keep it aside. 3. 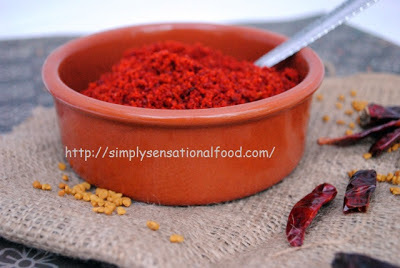 To the ground fenugreek add the chilli powder and salt and turmeric mix well. 4. Add the warmed oil to the fenugreek mixture and mix well. Leave to cool. 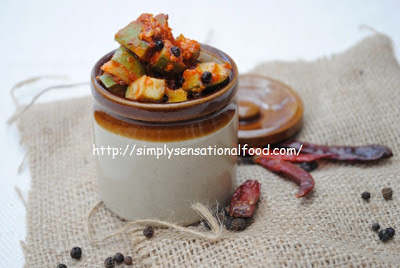 This Achar masala can be used to pickle mangoes, carrots, tindora, green beans . 1.Wash and cut the mango, remove stone and dice into small cubes. 2. 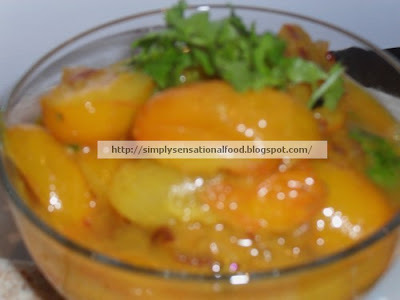 Put the diced mango in a bowl and add the achar masala and oil. Mix well. 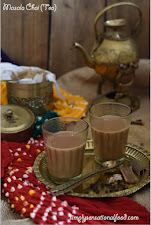 An ideal accompaniment to puris ,theplas and parathas. Cooking with seeds fenugreek event. 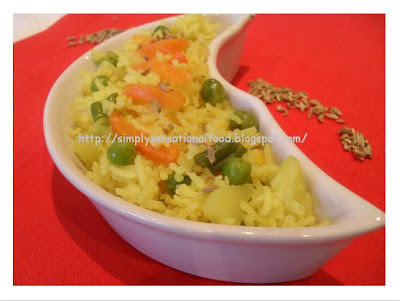 I used the moong dhal version and the only changes I made were that I replaced the amchur powder with lemon juice as I had run out . 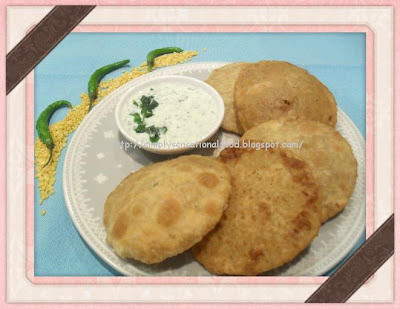 Khasta katchoris (Moong dhal)-Spicy moong dhal filling incased in a pastry outer shell ,deep fried to golden brown. A lovely tea time snack. 1.Mix the flour and salt, Add the oil/ghee and mix till you get a bread crumbs texture. 2.Slowly add water and make a soft dough. Knead well for about 8 minutes. 3.Cover and keep aside to rest for atleast half hour. Special Tips / Notes for the dough:Keep the dough covered at all times, if not it will dry up and not puff up when frying. 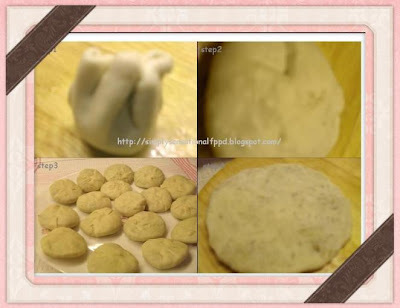 If the dough is made right wet cloth can be used if not just a towel. Dough is not soft enough.Not kneaded for enough time.Oil is less.Not rested enough. 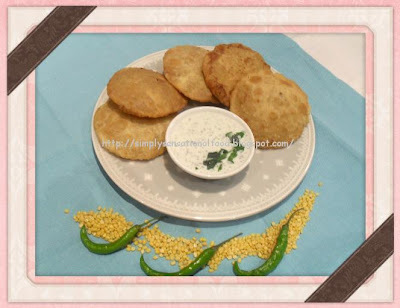 15.Fry the kachori's on medium low to get a crisp outer layer, that is the key. For people using electric stove, the numbers can be going from 6 to 4. 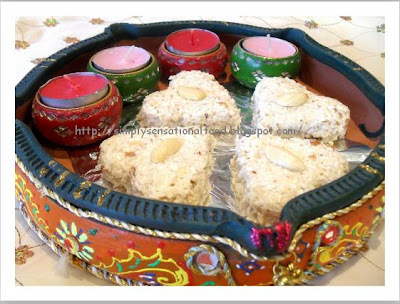 Coconut and mixed nut barfi- A quick and easy no cook barfi .Desiccated coconut and crunchy nuts delicately fragranced with cardamom powder and sweetened with rich condensed milk. 1. In a bowl add the desiccated coconut, chopped nuts and cardamom powder. Mix. 3. If you want to make barfi in squares, then grease a thali or tray with ghee and pat the coconut barfi mixture in it. 4. Smooth the surface with the back of a spoon and garnish with almond halves pushing them into the barfi slightly so that they stick. Refrigerate for 1 hour, after this cut to desired shape. 5. Alternately if you wish to make shaped barfi as I have done then wrap the coconut mix in cling film and refrigerate for 30 mins after step 2. 6. After 30 minutes take two large sheets of kitchen foil, place the chilled barfi mixture on one sheet and cover with second sheet. 7. 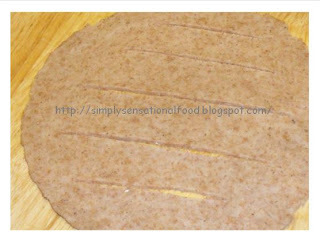 Using a rolling pin gently roll out the mixture to approx 1 cm thick. 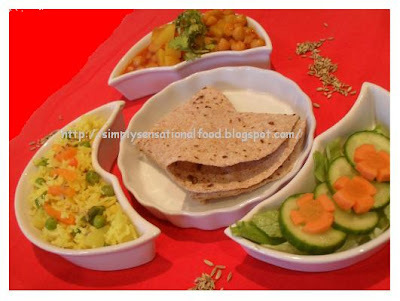 Remove the top sheet of foil and using cookie cutter cut out desired shapes and place barfi shapes on serving dish. 8. Roll up remaining mixture and repeat step 7 again till all mixture is used up. 9. 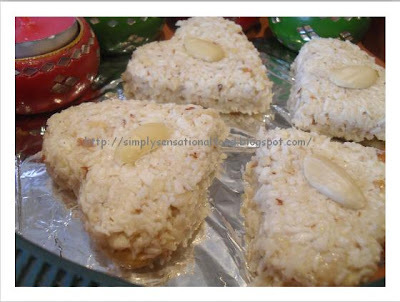 Place almond halves on your barfi shapes and press slightly to stick. Chill barfi for 1 hour before serving. NB- You can use any combination of nuts, also you can add few drops of food colouring if you wish to have coloured barfi. 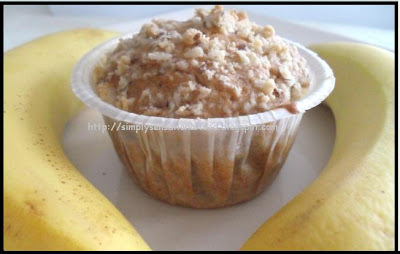 Keep refrigerated and consume with in 3-4 days. 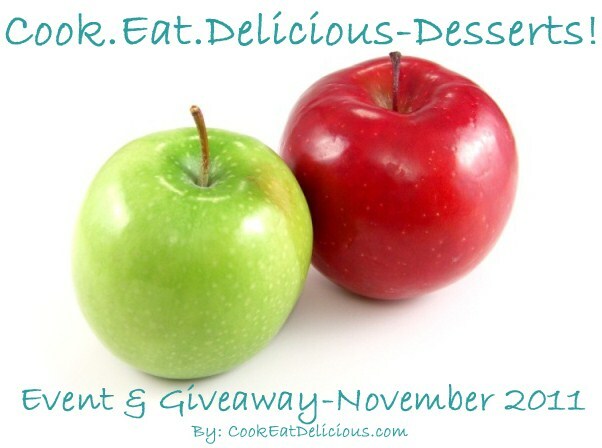 Seduce your tastebuds-No cook event. 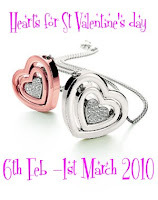 Priyas easy and tasty resipes- Hearts for st valentines event. Yoghurt/ Coconut Chutney- A sweet and sour chutney , made with cooling sour yoghurt, sweetness from the coconut and the heat from the green chillies. 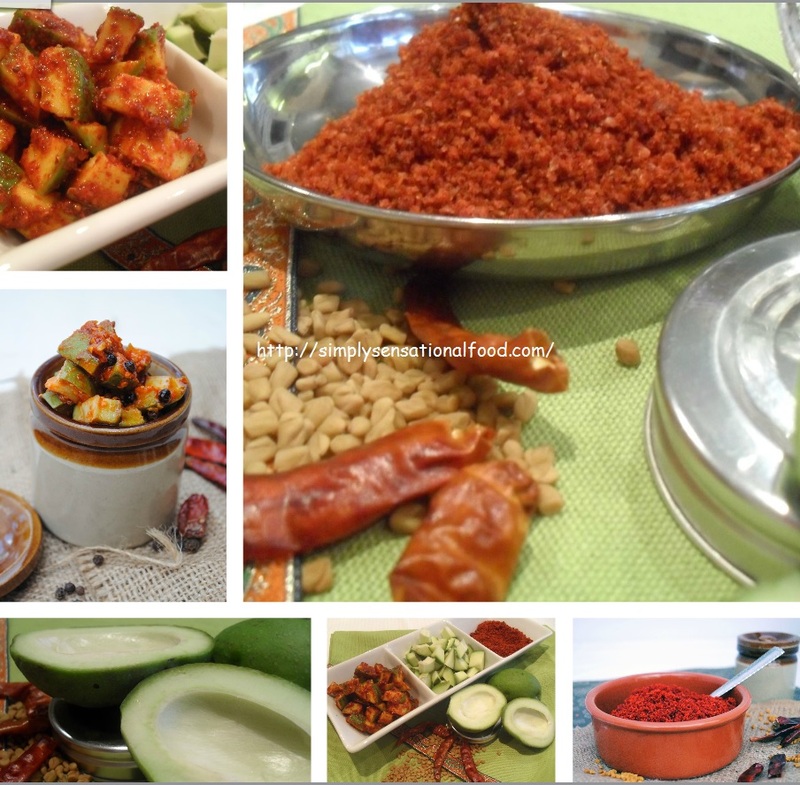 A lovely accompaniment to south Indian dishes such as idli and dosas. 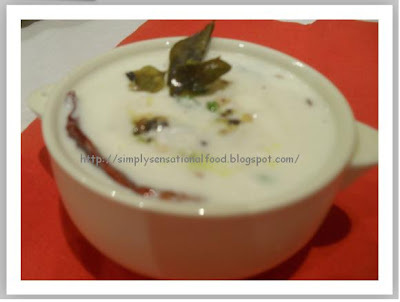 2.Transfer the hung yoghurt to a bowl , add the coconut, and green chillies. Mix and keep aside. 3. 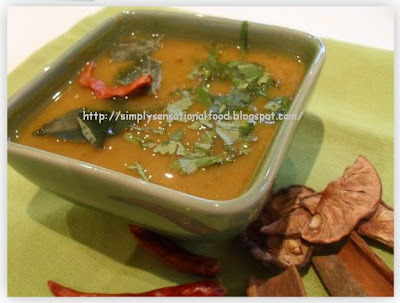 Heat the oil in a pan add the red chillies, urad dall, whole jeera and curry leaves. 4. Add the tempering to yoghurt/coconut mixture and stir, Add salt and sugar.